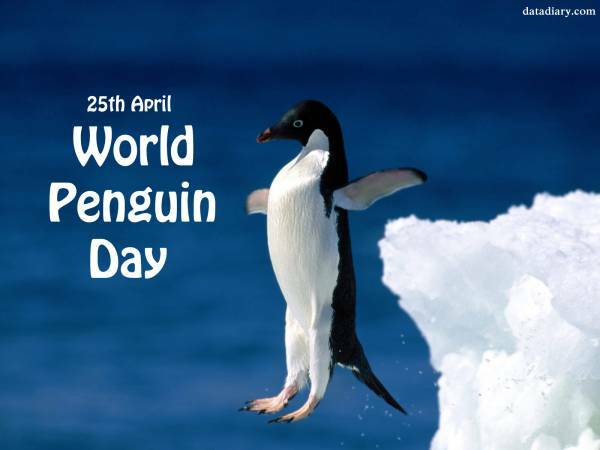 World Penguin Day is celebrated on April 25 because the annual northward migration of penguins is started around April 25. It is interesting to mention that these animals do not have final destination of their travel. They swim in the ocean searching for krill and stopping occasionally on drifting ice for rest. Patagonian penguin is able to swim during two-three weeks and cover the distance of 1500 kilometers. Penguins live exclusively in the Southern Hemisphere but sometimes they could be found far from the South Pole – on the Galapagos Islands, which are located close to the equator, or in North Havana, in Sydney, Australia.